Organic Pomegranate White Tea was one of my purchases from my cross-border tea haul trip back in September (I’m almost done reviewing those teas, I swear). 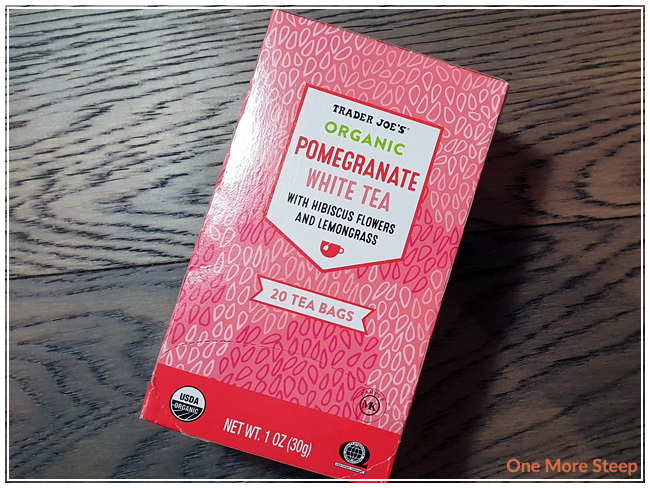 Organic Pomegranate White Tea is one of my Trader Joe’s finds, and came in a cardstock box. 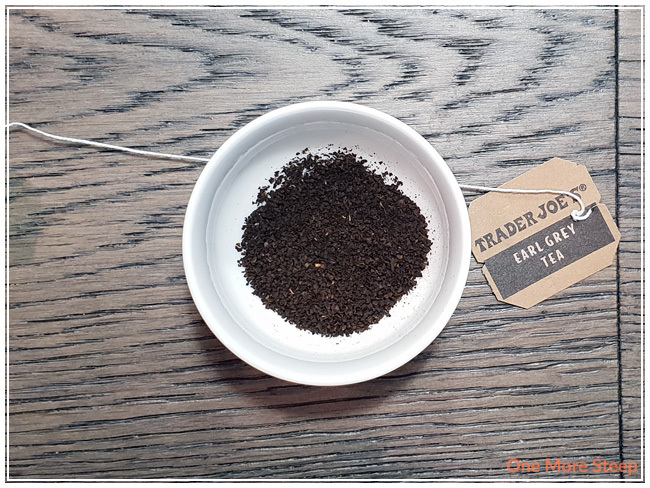 Each tea bag comes individually wrapped in clear plastic and there’s two staples with each sachet – one on the bag itself and the other on the tag. Not impressed. That said, the tea itself smells lovely. I can smell hibiscus, lemongrass, and pomegranate – all very nice fragrances. 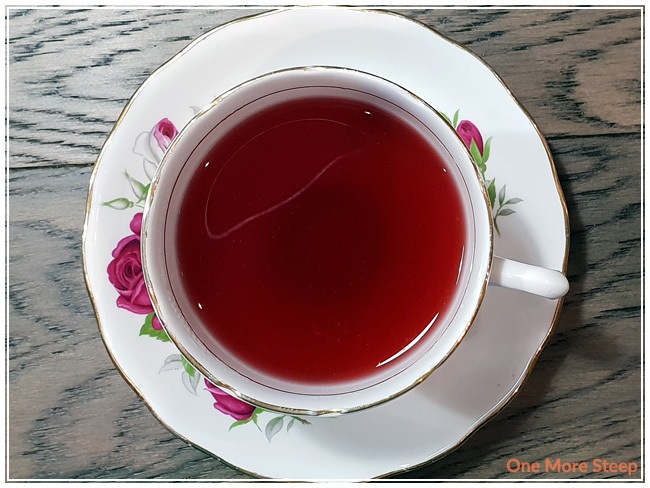 The ingredients in Organic Pomegranate White Tea are: white tea, hibiscus flowers, lemongrass, natural flavours, pomegranate extract, natural orange flavour, natural lemon flavour, and other natural flavours (all organic). 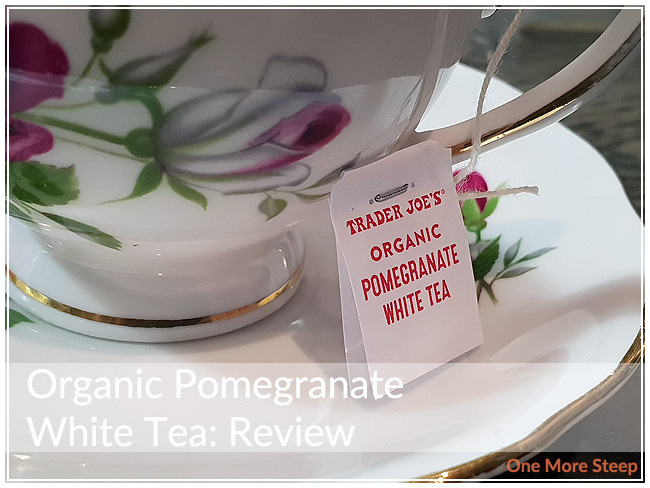 Fun fact, Organic Pomegranate White Tea is sold in Trader Joe’s (American company) but is a product of Canada (where I live). Trader Joe’s recommends steeping Organic Pomegranate White Tea in boiling water (100°C/212°F) for 3 to 5 minutes. My initial steep of Organic Pomegranate White Tea was for 5 minutes. 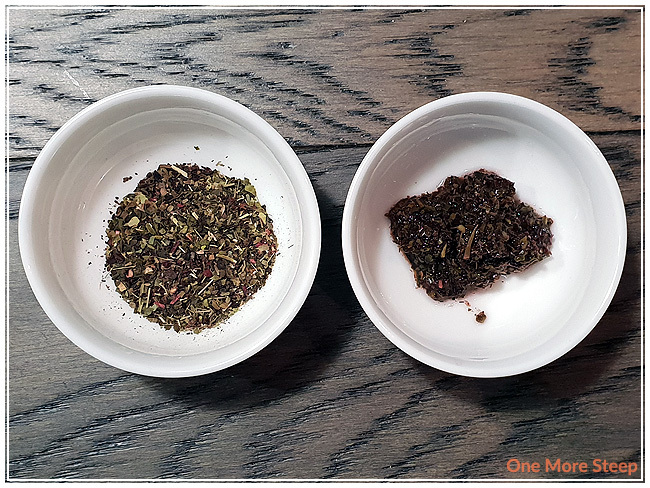 Organic Pomegranate White Tea steeps to a beautiful dark pink, many thanks to the hibiscus in the blend. The first thing I notice about this white tea blend is the tartness. I think we can thank the hibiscus for that. Other flavours that I can make out is sweetness, floral notes, and a fruity flavour that does remind me of pomegranate (perhaps suggested since it’s in the name?). 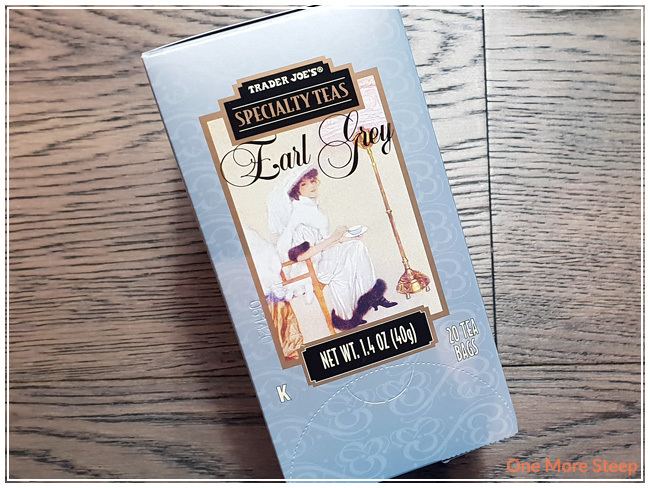 I find myself searching for the white tea base, I can’t taste white tea because the other flavours are quite overwhelming and powerful in comparison. 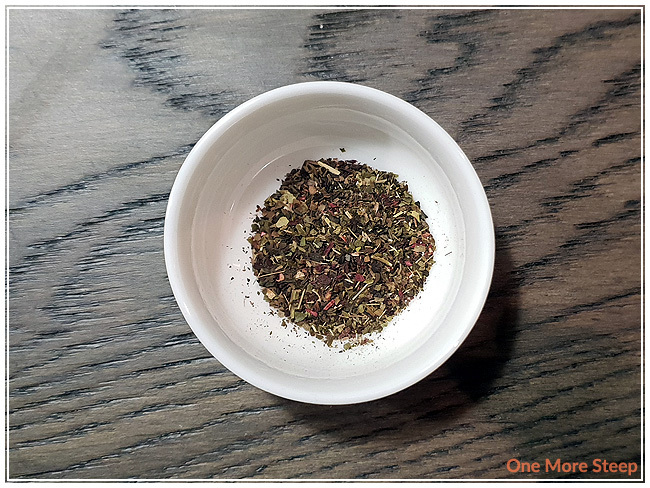 I attempted to resteep Organic Pomegranate White Tea and found that the flavour was very poor compared to the initial steep. 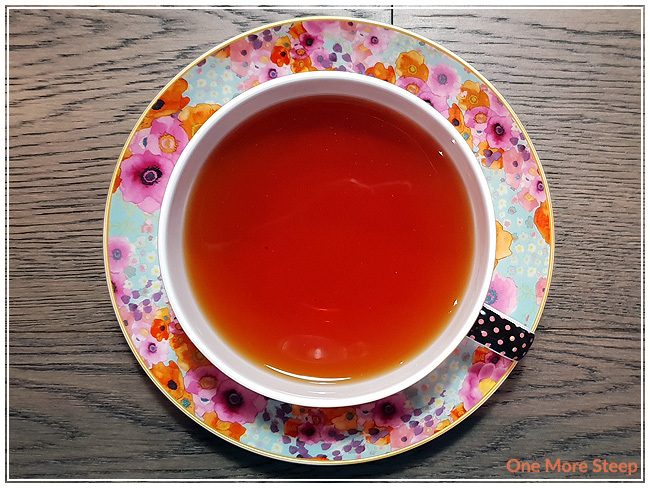 I would recommend steeping Organic Pomegranate White Tea just the one time. I thought that Trader Joe’s Organic Pomegranate White Tea was just okay. 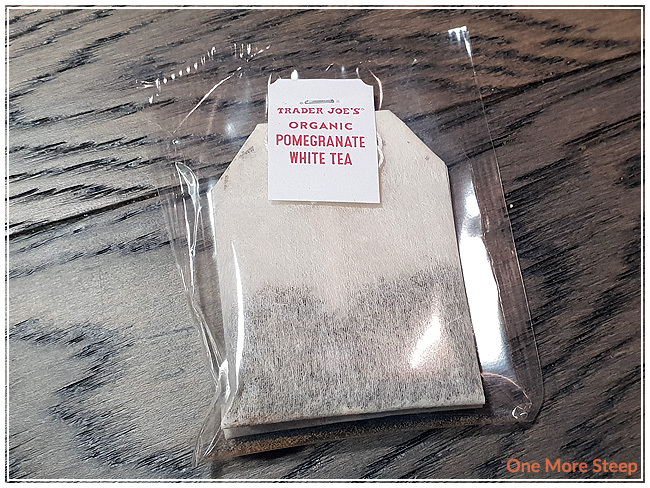 The thing that really bothers me the most about Organic Pomegranate White Tea is the sheer amount of packaging. 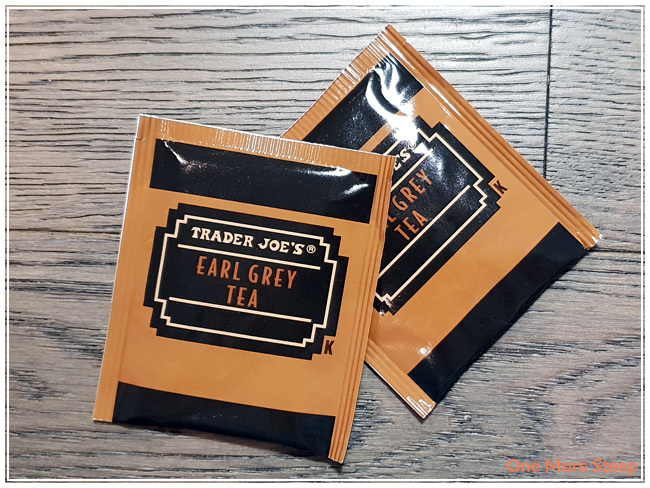 The cardstock box is okay, because that will go in recycling, but the individual clear plastic packaging around each tea bag is unnecessary – along with those staples! Staples aren’t biodegradable, so if you’re looking to pop the tea into your green waste bin when you’re done, there’s an extra step to remove the staples in order to be environmentally friendly. 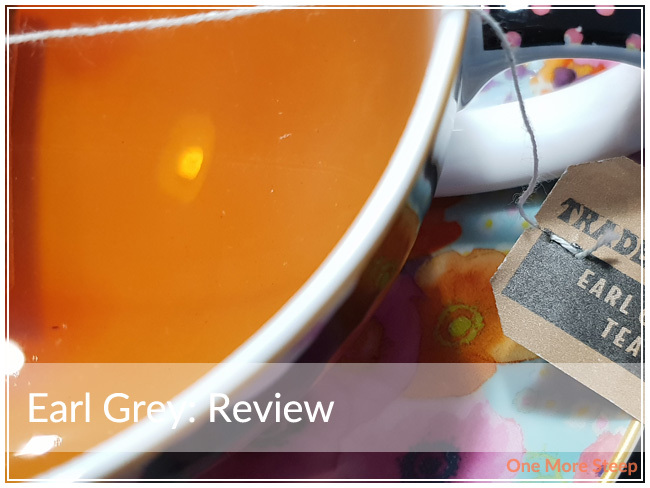 That said, the flavour of the tea is really nice and I think its great – it’d be fantastic as an iced tea because of the fruity tartness, but Organic Pomegranate White Tea does fail from an environmental standpoint. Matcha Green Tea Latte Mix was one of those things that I spotted on the shelf at the Trader Joe’s in Bellingham, WA and just had to try it. 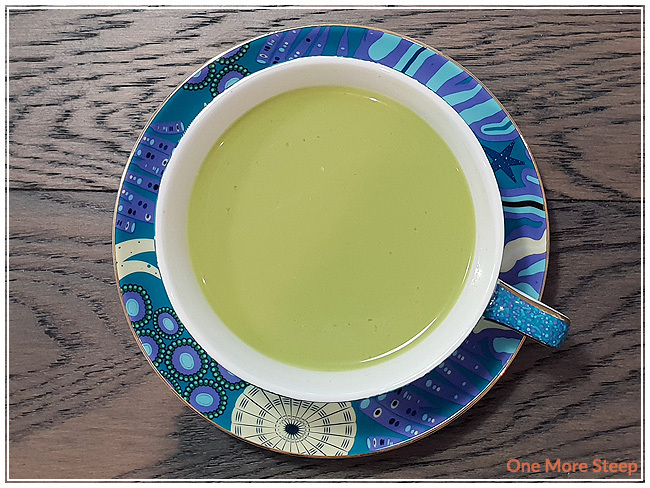 I do know how to make a matcha latte at home (and have even shared a recipe here before for my Rose Matcha Latte! ), but the idea of an easy way to make it at home (albeit not entirely from scratch) was appealing. Which is exactly how the tin ended up in my shopping cart. 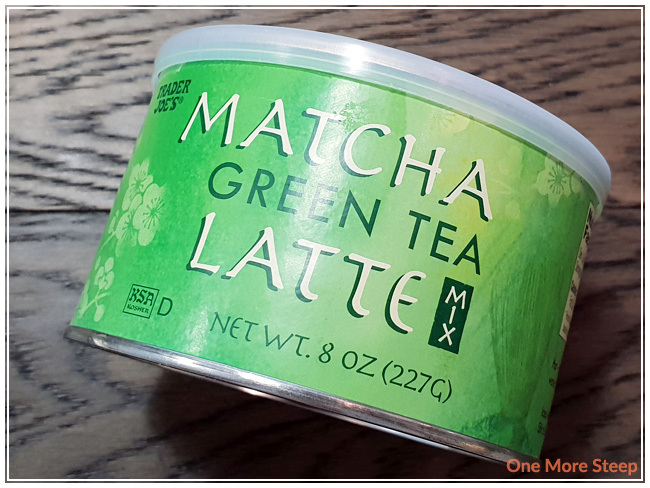 Matcha Green Tea Latte Mix comes in a carton with a plastic lid, and a silver foil seal underneath for the freshness. There’s a light green powder inside, and no scoop (unlike the Spicy Chai Tea Latte Mix that I shared last week!). There’s no strong smells from this mix, it smells like a very light green tea. 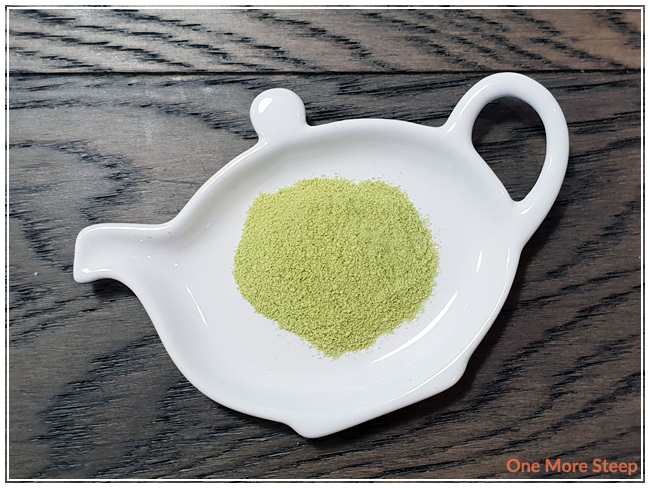 Matcha Green Tea Latte Mix consists of: cane sugar, coconut oil, maltodextrin, matcha green tea, whole milk powder, non fat milk powder, malted milk powder, natural flavours, sodium caseinate, tricalcium phosphate, guar gum, mono and diglycerides, silicon dioxide, and salt. Just for your information, each serving consists of 13g of sugar, and there’s 8 servings per carton. Trader Joe’s recommends preparing Matcha Green Tea Latte Mix with 3 tablespoons of mix with 6oz of hot water, and to stir to dissolve. If you want to have a cold Matcha Green Tea Latte, they recommend 3 tablespoons of mix with 3oz of hot water, stir to dissolve, and pour over 1 cup of ice. I opted to do my initial taste of Matcha Green Tea Latte Mix as a hot matcha latte, mixing it with 100°C (212°F) water. Matcha Green Tea Latte Mix dissolves completely in hot water and quite easily after stirring it with a spoon directly in my teacup. The colour is very similar to the powder, a light pistachio green. There’s a very mild aroma to the Matcha Green Tea Latte, it’s a very light green tea aroma and I can smell the milk as well. The flavour is very milky, with a nice sweetness to it. I do taste the matcha, I do wish it was a bit stronger (although I don’t know how much of the matcha flavour is being masked by the dairy in the ingredients list). This does remind me a lot of a matcha latte that I might be able to find at a cafe, and it’s not overwhelmingly sweet, which is greatly appreciated by me. No second cups here, since the Matcha Green Tea Latte Mix completely dissolves in the water. I loved Trader Joe’s Matcha Green Tea Latte Mix. 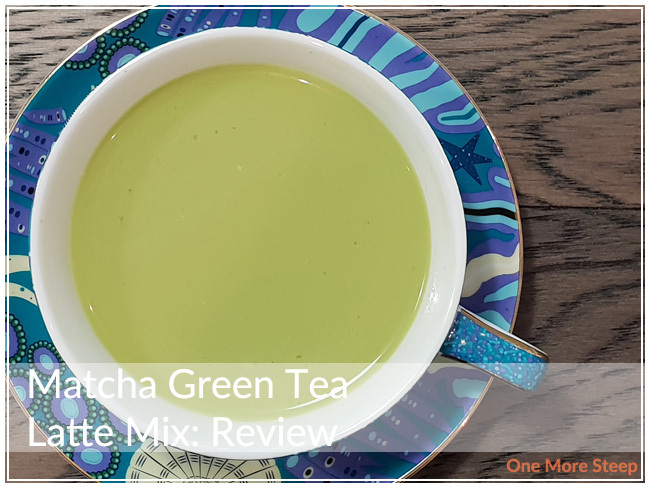 This was a very easy product to use at home – no sifting or whisking required for a morning cup of matcha latte. I do wish that the matcha flavour was a bit heavier, but I also understand that for the demographic this is probably targeted at, the flavour is probably pretty much on point. The dairy content has a nice creaminess to it, which lends itself well to the latte aspect. 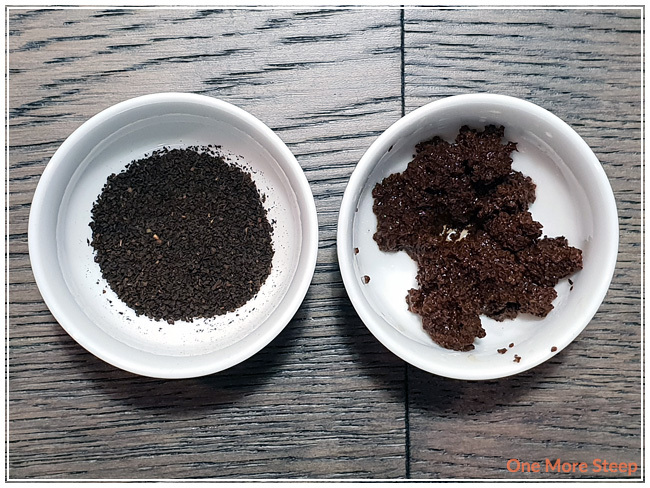 For the cost of what ends up being $0.50USD/serving, it’s really not that bad – especially when comparing to a $6 cup at the local coffee shop. It’s not as sweet as I was expecting it to be, given that it is a latte mix, so that was a nice and pleasant surprise.